Spend the day learning the basic techniques under the expert tuition of Jo Fry. 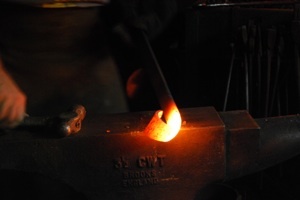 At the end of the day you will go home with a beautiful artisan product that you have made using the centuries-old forging techniques. Come with a friend or come on your own and meet someone new, it’s up to you! 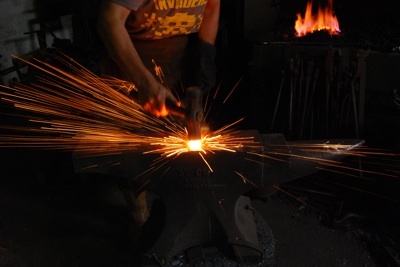 Ever aspired to being a blacksmith? 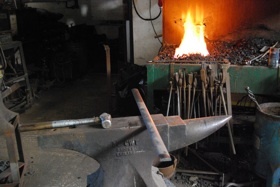 Then come along and experience the thrill of working with red hot metal and making something of your very own. 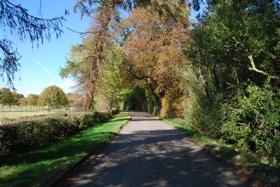 Striking the iron whilst it’s hot - a great way to de-stress from your hectic lifestyle! The forge is in the bucolic setting of locally well-known Standalone Farm Hertfordshire (with excellent rail links from London) – whilst you are honing your forging techniques, the farm might prove the ideal day out for the rest of the family with its café and other amenities.